We’ve had a string of bad luck with new moon weekends for the past six months, so when this new moon Saturday showed nearly perfect conditions, Jane and I were quick to pack the van and get out to Amboy Crater. Conditions all night were as delightful as advertised. There was no wind, not a sign of a cloud. 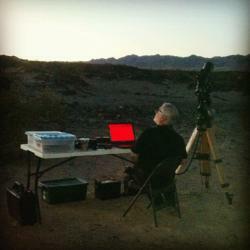 The temperature dropped quickly from 98°F on arrival to 62°F close to sunrise, calling for a light jacket. Humidity stayed well below 20% all night. We were prepared for the heat with lots of ice and Propel sports drinks. We were the only ones taking advantage of the smooth blacktop and hospitable visitor station at Amboy Crater. The great conditions kept both of us going without a nap all night. It made for a struggle returning home on little sleep, but we both managed to grab naps during the day. 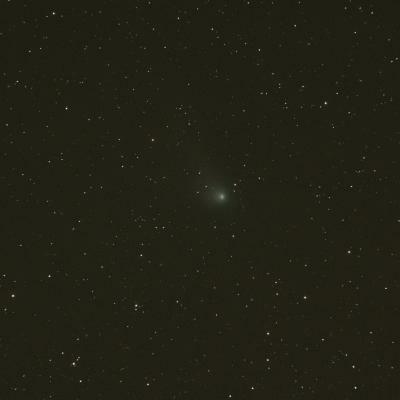 I imaged comet C2009/P1 Garradd to start the evening. 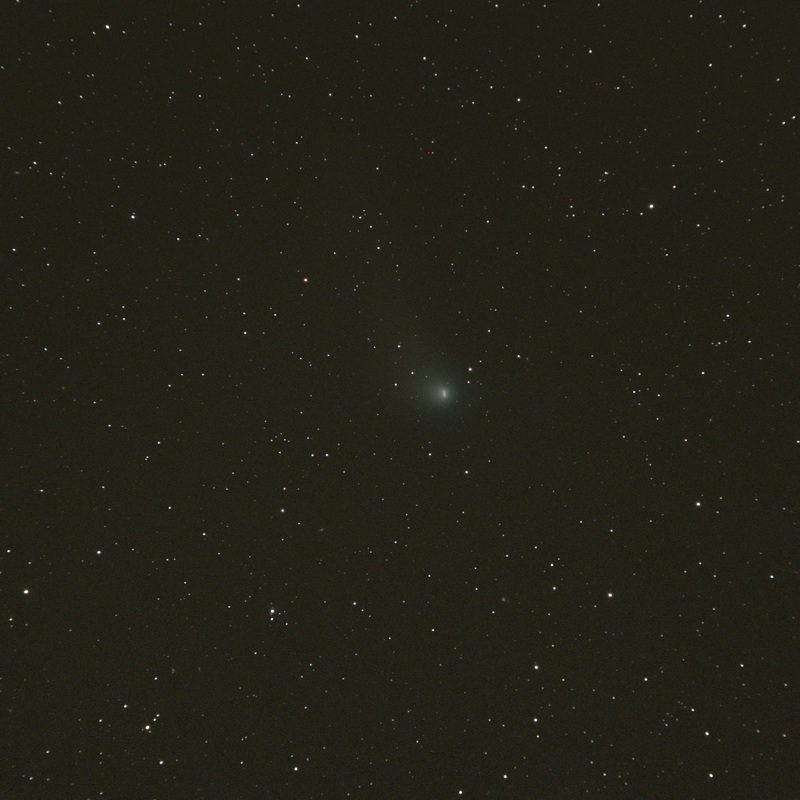 I took four 5-minute exposures, allowing me to make two versions of the image. 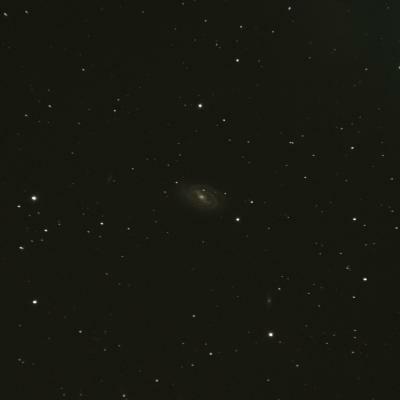 The first version stacks the images so the stars all match. 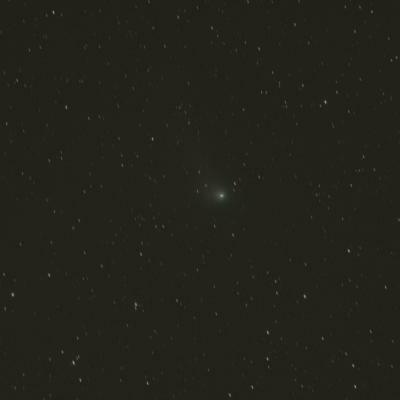 The motion of the comet against the background stars blurs the head of the comet in the line of its travel. 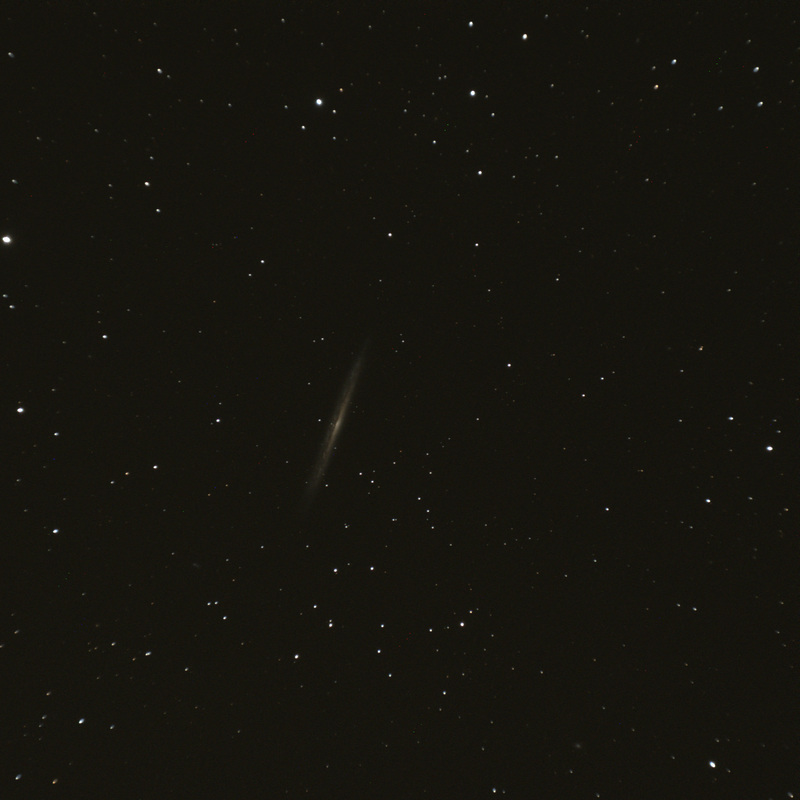 The second image aligns each exposure on the head of the comet, so the perspective moves with the comet over 20 minutes, making a trail of stars in the background. 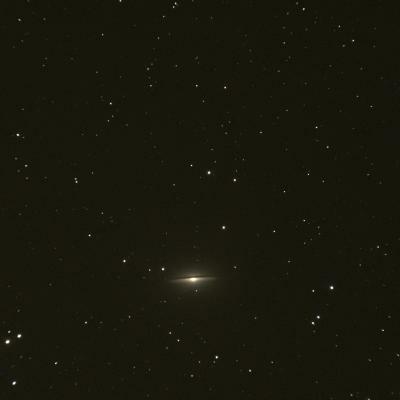 The rest of the evening focused on distant galaxies. 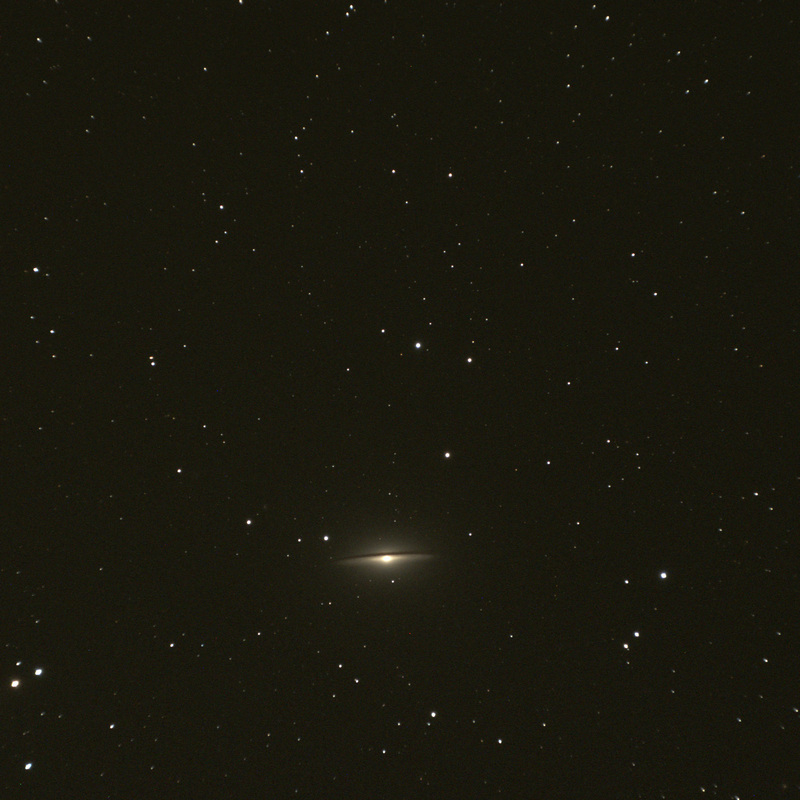 For this session I added a barlow lens ahead of the camera to get a slightly narrower field of view. 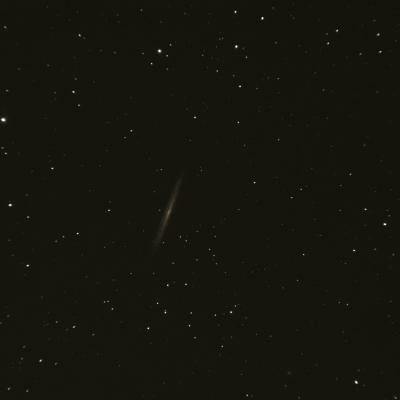 Each of the 400×400 thumbnails below links to the full-size image, which is 2048 x 2048 pixels. 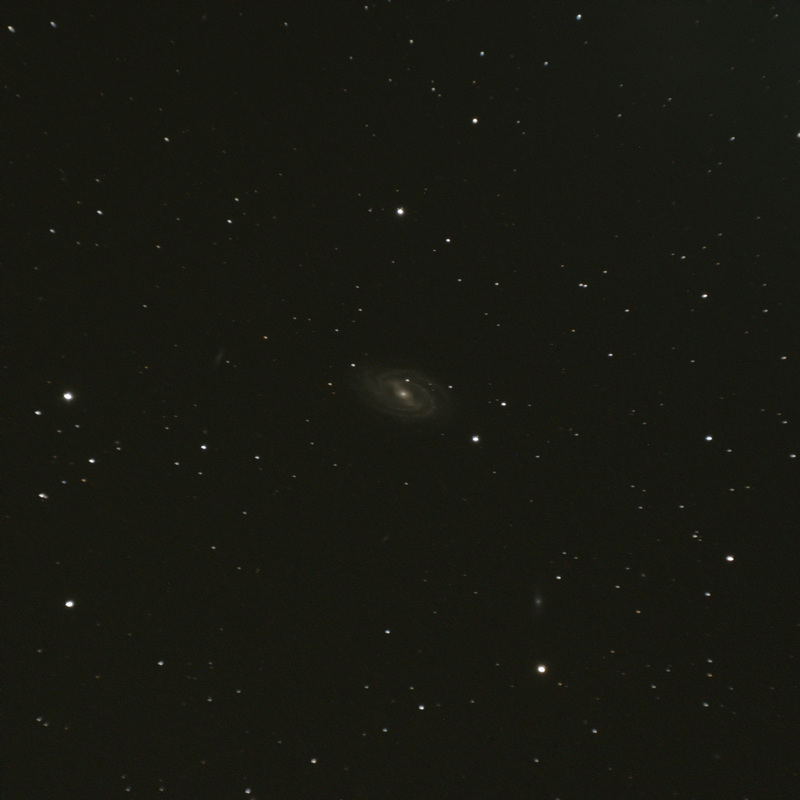 M109 in Ursa Major, a faint barred spiral. 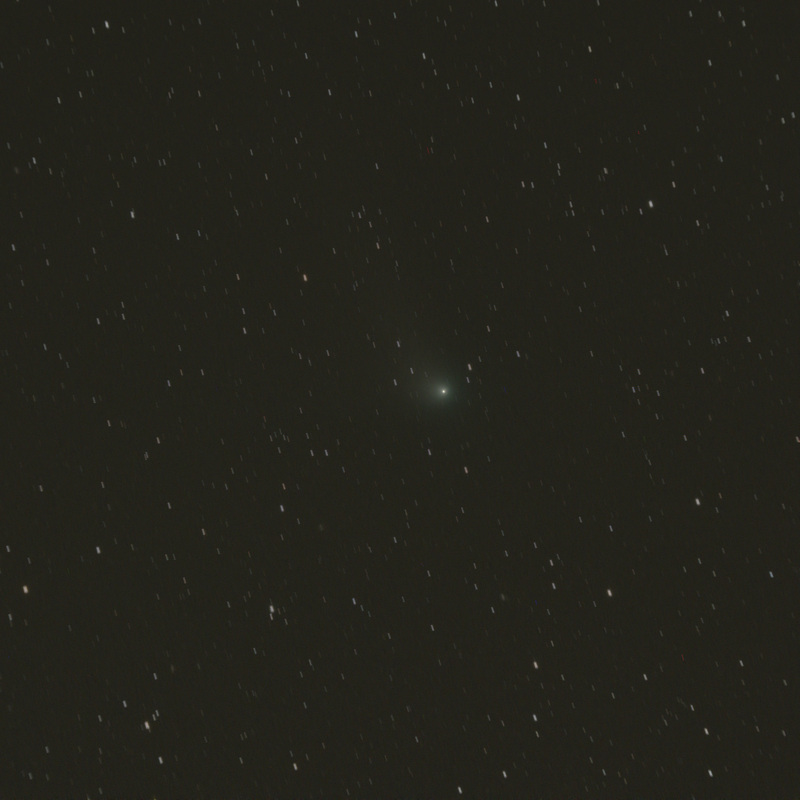 Note a few distant spirals in the full-size image. 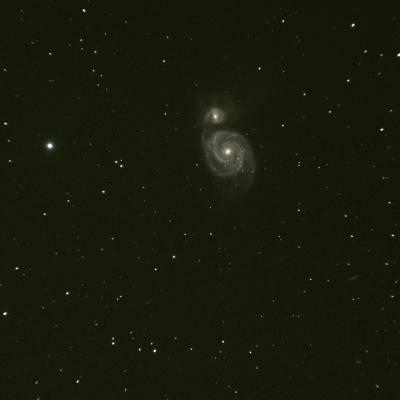 M51 the Whirlpool galaxy pair in Ursa Major, one of the most photographed and observed objects in the sky.